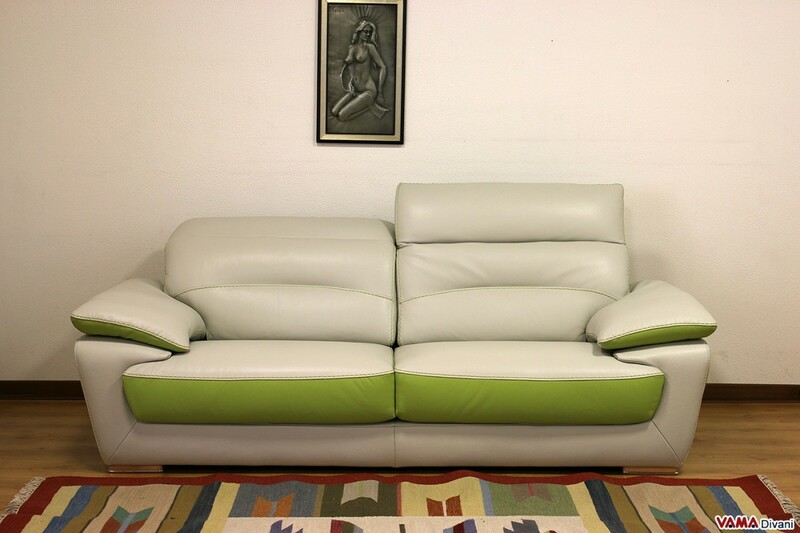 Contemporary sofa with a wide and attractive structure, ideal for those looking for an original style, but even for an elegant and easy one to match. 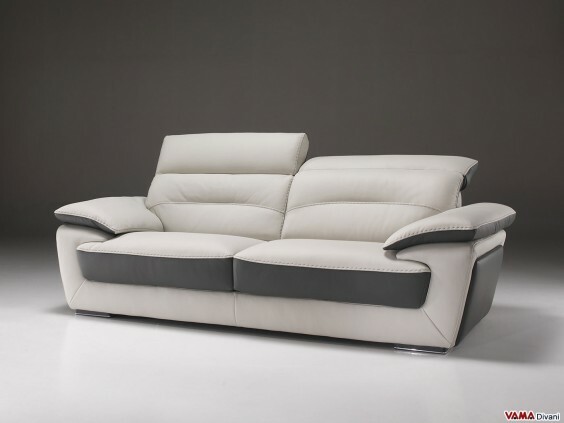 Upholstered in high quality white leather, with small details in grey, the Sunrise sofa provides great comfort thanks to its soft cushions, its large and high back and its reclining headrest. 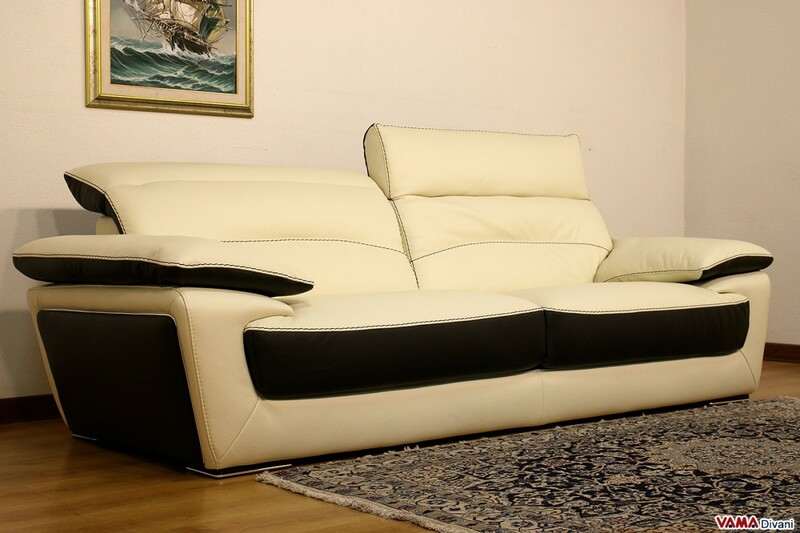 Sunrise is a large contemporary sofa with an attractive design, a perfect piece of furniture for those looking for bold style, yet simple and easy to match. 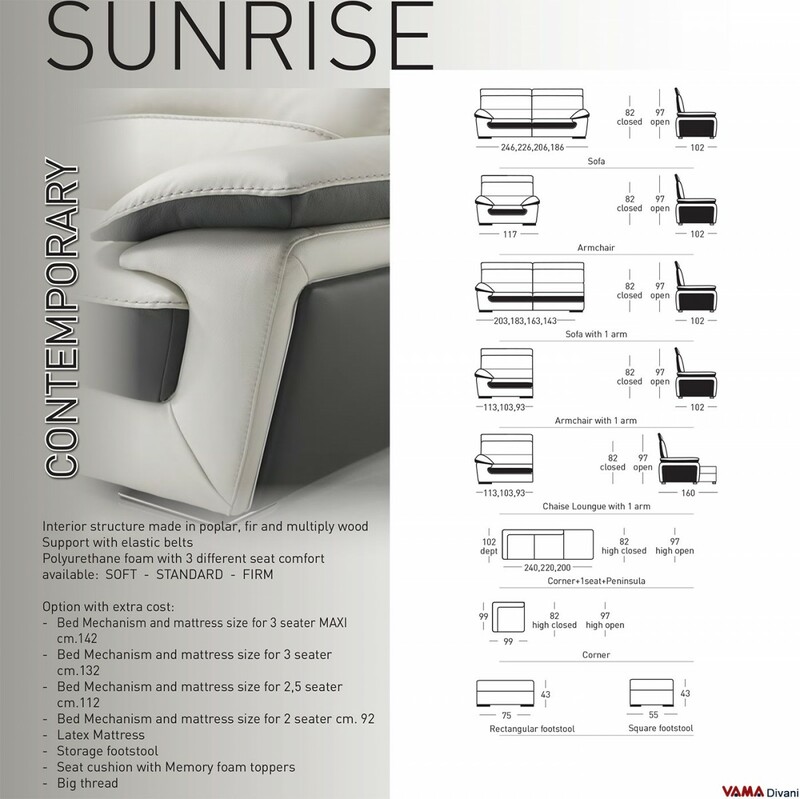 Sunrise is characterised, above all, for a great comfort: soft and cosy cushions, soft upholstery, reclining headrest and wide arms... all the details that guarantee a deep relaxation. 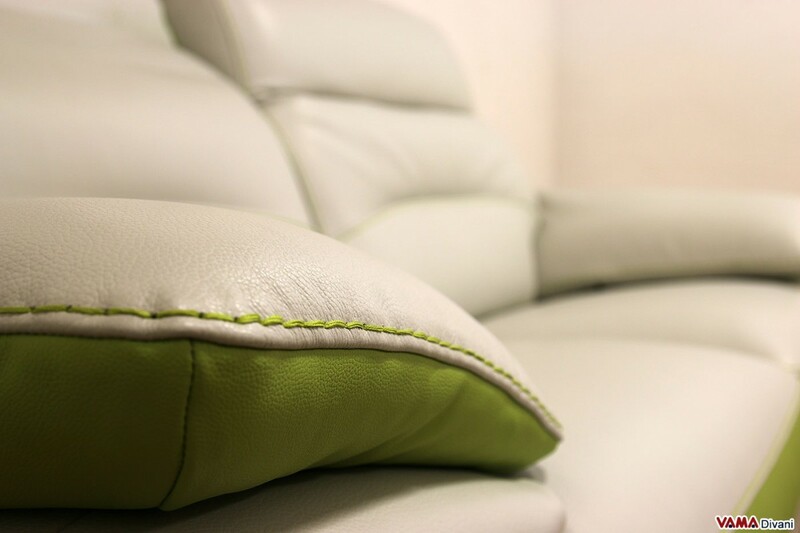 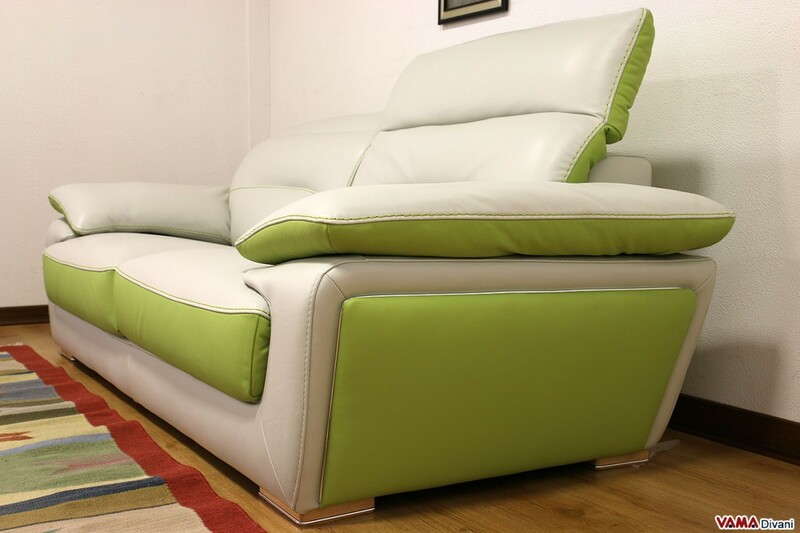 Even the style of this leather sofa is great and accurate in every detail. 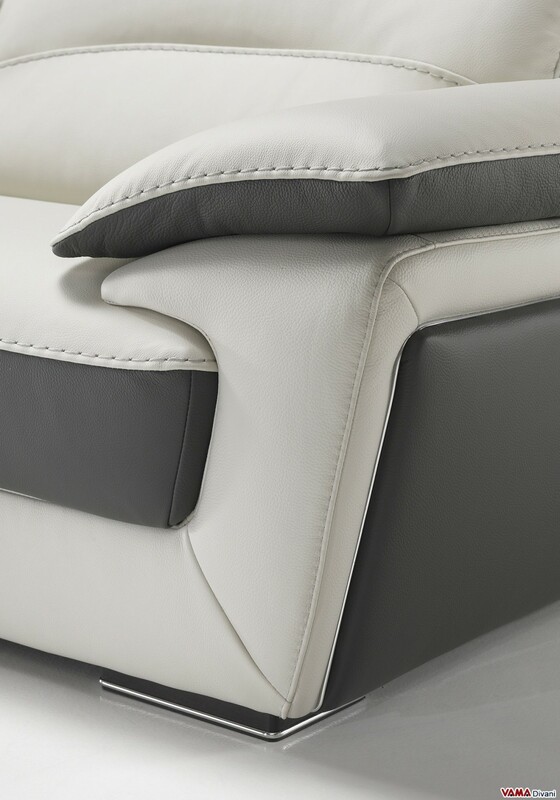 Very interesting details are, from this point of view, the significant grey inserts, that create a nice contrast with the white colour, the decorative stitching of the back, the small elements in polished steel we can find in the supports and in the finish of the arms. 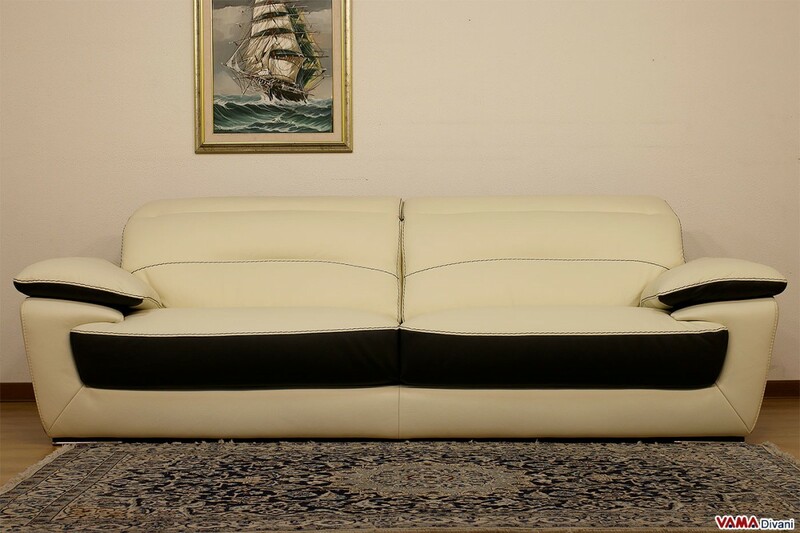 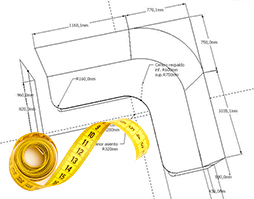 For the construction of the contemporary Sunrise sofa our craftsmen used only made in Italy best quality materials.